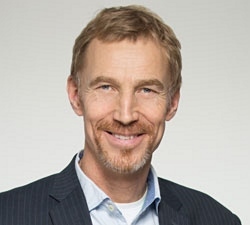 Thomas Hahn is researcher in agricultural and ecological economics focusing on ecosystem services, economic instruments and adaptive governance in relation to ecosystem stewardship. He publishes in journals such as PNAS, Human Ecology, Ambio, Annual Review of Environment and Resources, Global Environmental Change, and Ecology & Society. He is a fellow of The Royal Swedish Academy of Agriculture and Forestry (KSLA) and serves on the boards of the Swedish Nuclear Waste Fund and Sveaskog AB, the largest forest owner in Europe. He is enrolled in the Global Economic Dynamics and the Biosphere (GEDB) as one of the project managers of Mistra Financial Systems (MFS).